I attended the meeting seminar for the new vendors in Bayantel this afternoon. Bayantel always have it when there’s a group of new vendors who passed the accreditation application and it’s a semi-annual seminar for all. Since everyone seems to be just new just like us and accredited only for just few months he discussed everything that needs to be learned in the procedures and standards. I observed that most of the attendees are Sales and only few of us are in the Admin/HR department but anyway I will just discuss all to our Sales and Marketing when I reached our office. The discussion is in powerpoint presentation which makes it so fast and clear. It also enables me to just note a few lines since Sir Phil will give us a copy via email tomorrow. I’ve visited a new village in the hilly town next to us and observed that the row of houses there has no gates or fences. I was thinking if they’re just new and would soon build a fence or the village is designed to have houses like that. The houses are patterned after each other and if you’re not that familiar with your own house you’ll find yourself lost in another’s house. It’s nice looking at the houses without fences and just the garden dividing the residences from the road but I still feel anxious. I feel that anytime intruders may come in and invade your privacy. This is where fence is most welcome because it can create a secured place for your family where strangers can’t just enter. 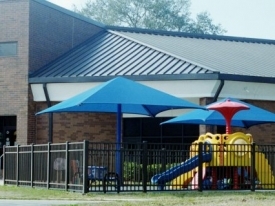 With Richmond Aluminum Fencing you can be assured that you get quality job when it comes to fence installation or repair job within the Richmond area and nearby places. 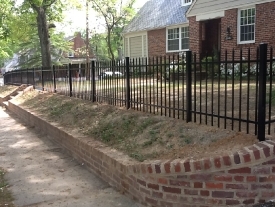 Fence Me In Richmond provides custom fence design, installation services and fence repair job. They will see to it that the fence design will be apt to your specific requirements and suggests the best for your property. Their skilled employees will work best to supply all your needs and make sure that every issue is agreed upon before the projects starts. They use the best aluminium products and wet setting instead of dry packing to bring about stability in their fence posts. Best of all they can offer their products in affordable costs because they order their materials in wholesale quantities. So whether you need fences on your residential house or in commercial areas, be it traditional or specialized kind they can serve you the best fence in town.